Storage space isn’t only a small kitchen’s problem. The main reason why stuff seems to be flooding our kitchens is lack of organization. There are ways in which the storage space can be maximized and even expanded. All you need to do is to follow some simple rules: first, try and put things near the area where you use them, something that will definitely come in handy when it’s time to cook. Other solutions when confronted with the lack of space consist in using stackable shelves, putting storage baskets or boxes above the cabinets (and everywhere around the room) and hanging stuff using rods and hooks. Harmony doesn’t mean that everything has to be the same. This is also true when it comes to materials used to build shelves and countertops. Think about changing a small prep area or the whole kitchen using different materials. Try building your own shelves to gain more storage space. 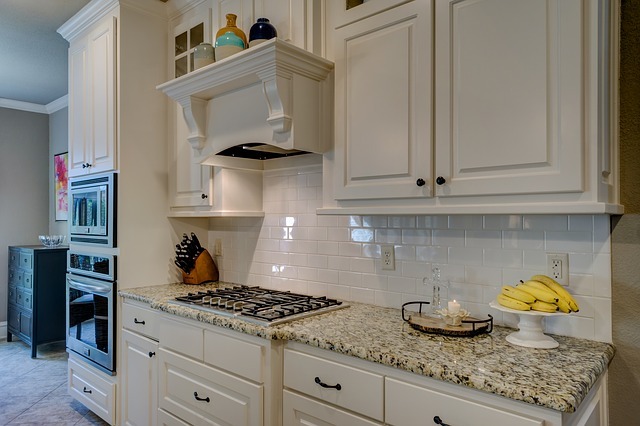 When it comes to countertops, concrete can be a great option, especially if it’s used in the cooking area; it’s a long lasting material that can also add an interesting touch to your kitchen. In order to make this project a successful one, make sure you get the proper tools for it; using the best cordless drill can make a huge difference. Replacing an old faucet or one that doesn’t work properly anymore may seem a little difficult at first for those of us who are not good at plumbing, but if you follow the instructions carefully – definitely shut down the water valve – you will be quite proud of this accomplishment. A better faucet equals more functionality. How many times have you tried getting something from a drawer or cabinet and realized that the knobs or pulls are broken or even missing? Replacing them takes little time and it’s one of the most affordable upgrades for your kitchen. You can grow your own beautiful herb garden without compromising space by mounting planters on the walls. This will make a more enjoyable project that will definitely pay off when you don’t have to rush to the store every time you need those delicious herbs that make everything taste better. Creating a more functional kitchen takes a little time and some good decisions. These DIY projects will help you remodel the space you have and turn it into something better and more practical.